The journey of a woman as she tries to survive and get her children to safety in a world you cannot gaze upon. Nowadays the online services are putting out some pretty impressive films without ever having to put them on the big screen. 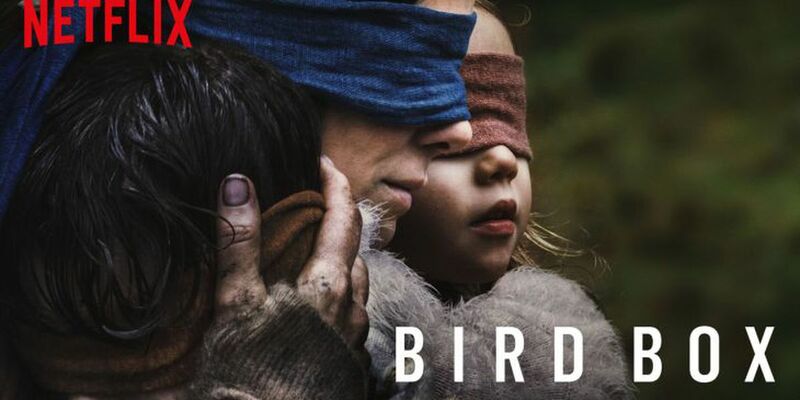 NETFLIX adapted the novel BIRD BOX by Josh Malerman into a feature length film starring Sandra Bullock as Mallory. In this screen adaptation of the novel, rather than a slow build to the end of the world, Armageddon comes on far more suddenly. Reports of violent outbreaks of madness were coming in from around Europe and Russia one day, next day it settled upon the USA. While fundamentally the same Lovecraftian story, this cinematic version of the tome has some key differences. I won't go any of them as they might be spoilers. But while the book implies what is causing the madness, the movie actually shows representations of the cause, which looks very much like Cthulhu. So bravo to that. But you need to be observant to catch it! The criticisms of the movie are mostly two things. One is that the movie is disjointed. Since the book that the movie is based on is exactly the same way, which is Mallory's recollections of her life while navigating the river, I don't see the problem. Additionally when similar effects were used in Godfather II and various Tarrantino movies and were hailed as genius. Another gripe is that there is no real ending. To that point I ask, how so? The movie was about Mallory's escape to safety with her children, and she did, so how did it not end? Were viewers hoping for the world to be returned to the way it was previously? I would say I enjoyed this movie. It's worth the two hour investment to see how the world descends into madness and how people will always try to persevere. In some ways I think that this movie improved upon the source literature, in other ways the book was better. The movie would need to be a 6 hour mini-series in order to cover everything from the book. Plus it would likely suffer in polish and quality. I also liked this movie better than A QUIET PLACE. Since everyone else is comparing them, why shouldn't I?